Invitations to unique, custom-tailored events at Summerhouse are one of the many wonderful benefits of being a resident at Golden Oak. They're invited to participate in a variety of club-exclusive offerings, such as Pilates and yoga classes in the fitness center, game nights in the family room, and food and beverage tastings in Markham's restaurant and Tyler's lounge. 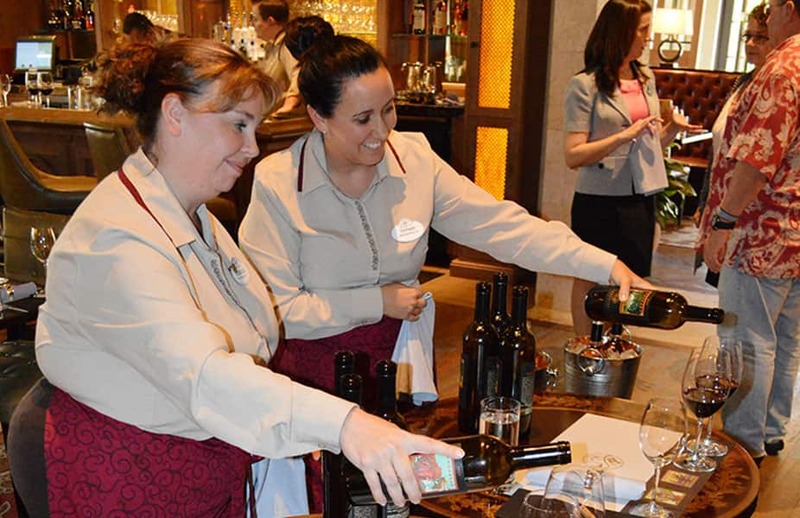 The Epcot® International Food and Wine Festival is one of our residents' favorite events at Walt Disney World® Resort, and this year, Golden Oak Events and Activities Manager Gaia Gebbia brought a taste of the Festival directly to Summerhouse. 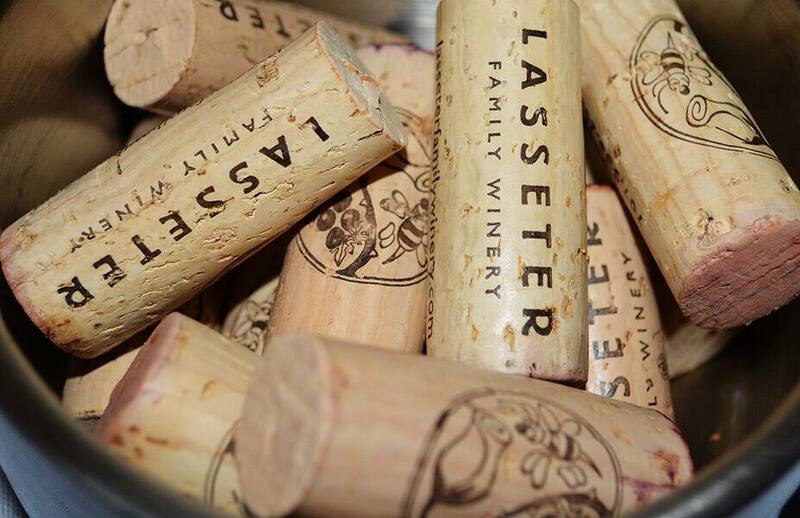 In October, our residents were treated to a special wine tasting at Tyler's, featuring wines from the Lasseter Family Winery. The event was hosted by Chief Creative Officer for Pixar and Disney, John Lasseter, and his wife Nancy. 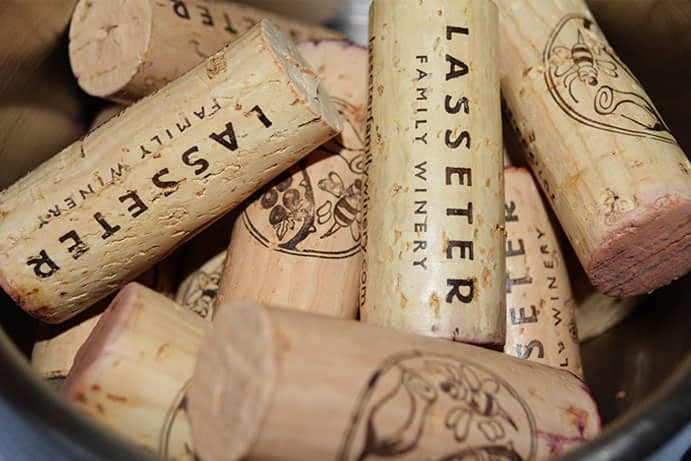 The Lasseter family opened their own winery in Sonoma Valley several years ago, and a project which began as more of a hobby blossomed into a complete immersion into winemaking, according to Mrs. Lasseter. 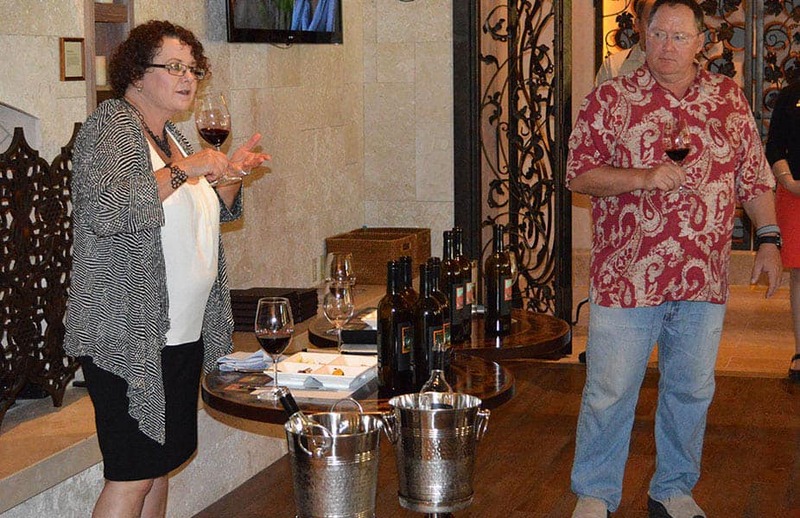 Throughout the evening, the couple shared with residents the inspiration and creation of their wines, including information about the family's passion for farming their vineyard sustainably. Mr. Lasseter also engaged the group in a trivia game, quizzing them on their knowledge of wine and Disney/Pixar movies. 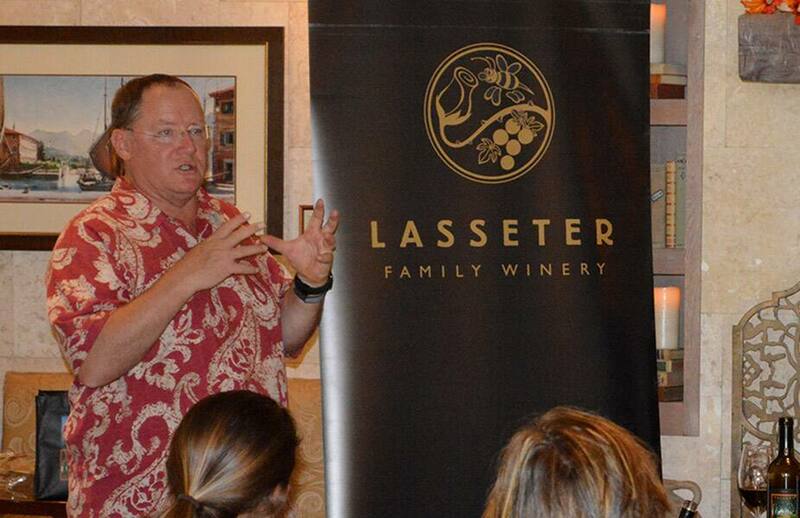 As a surprise, he handed out Lasseter Family Winery memorabilia as prizes to those who successfully answered his questions. Many of the families, including the Lasseters, kept the fun going with an enjoyable dinner at Markham's. "We were very fortunate to have the Lasseters join us at Summerhouse for the evening," Gaia said. "Everybody had a ball."